Toronto remains under a special weather statement on Friday. And it’s not freezing rain. 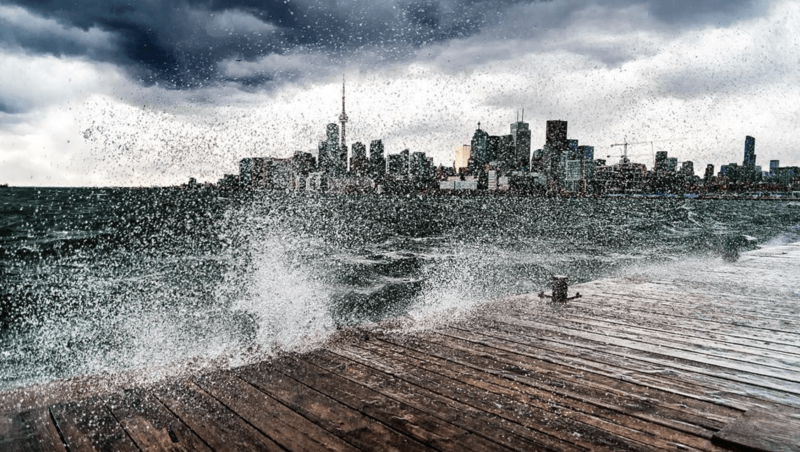 According to Environment Canada, there will be strong and gusty winds in Toronto today. It is forecasted that the winds will gust up to 80 km/hr this morning, but (thankfully) will start to diminish this afternoon. The weather agency warns that these winds are strong enough to cause minor tree damage and a few local power outages. 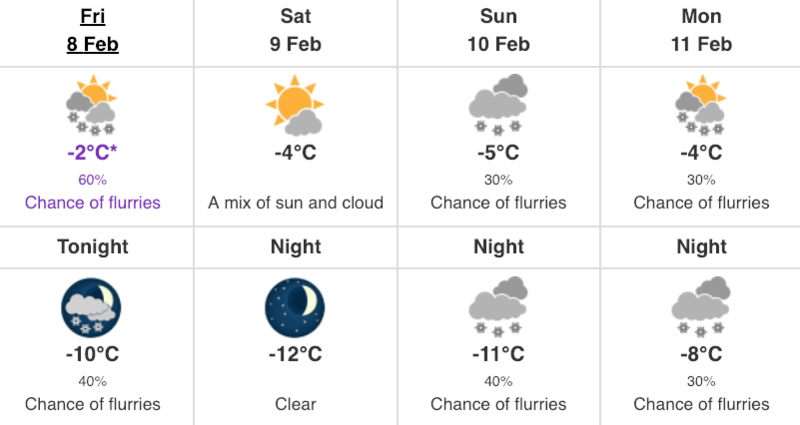 For those venturing out Friday night, there’s a 40% chance of flurries this evening and winds may gust up to 60 km/hr. And with that, the wind chill will feel close to -20°C. Yes, that cold weather is back. And it’s sticking around for the weekend.